The Joye EX coil is designed for Exceed series atomizers. 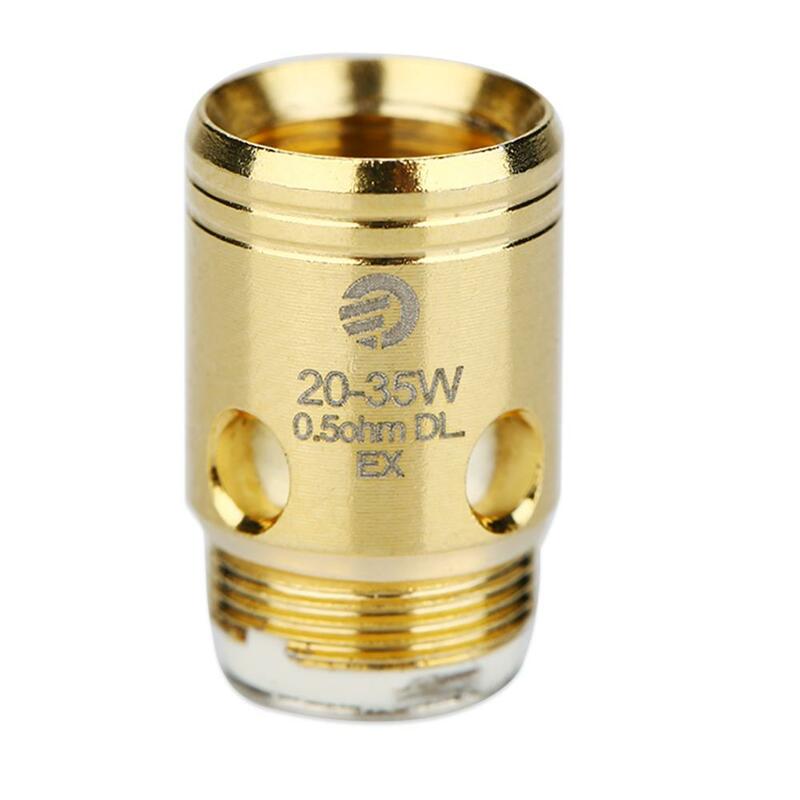 The 1.2ohm coil is for MTL vaping under 8 - 15W, while the gold-plated 0.5ohm coil is for DL vaping under 20 - 35W. 5pcs each pack. • It's for Exceed D22 Tank/ Exceed D19 Atomizer. • Please drip a few drops e-liquid into the head and inhale a few times in power-off condition before its first use to avoid dry burn. • Please don't wash the head with water. Simply scrub it with cotton or clean dry cloth. Original products, and great service! Original Joyetech coil heads. Neat packing and carefully wrapped. Same as what you get when you initially buy this device. Odličan MTL urđaj, za one koji se odreknu cigareta prava preporuka. Joyetech Exceed EX Coil Head 5pcs/pack including EX 0.5ohm direct-lung head (best at 28W) and EX 1.2 ohm mouth-to-lung head (best at 12W) with unique designs.